Back to blogging that is! I took an unintended break from blogging . . . other than Caturnalia because that just doesn't count. For the last month or so I have just been trying to keep up with the pace of life. It is entirely my fault. I want to do everything . . . I think I can do everything. When I realize I can't I get really frustrated. The key, however, is that I do exactly what I want to do all the time. 4/27 - I went up towards the Wilkesboro area and rode the Brushy Mountain loop. I wasn't quite prepared to ride close to 80 miles but I got guilted into it. Guilted . . . yeah that's the ticket. 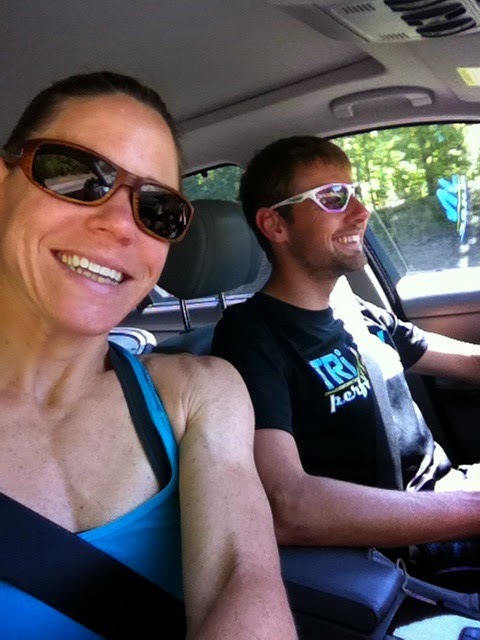 5/4 - I hitched a ride with the very talented Sebastian Binnemann to compete in the Buck Hurley Sprint Triathlon. Like last year I had a blast. Unlike last year the weather was awesome. 5/4 - I spent the rest of the day lounging alongside Lake Norman tanning my already tan arms and hoping to get the slightest bit of color on my not very tan belly. 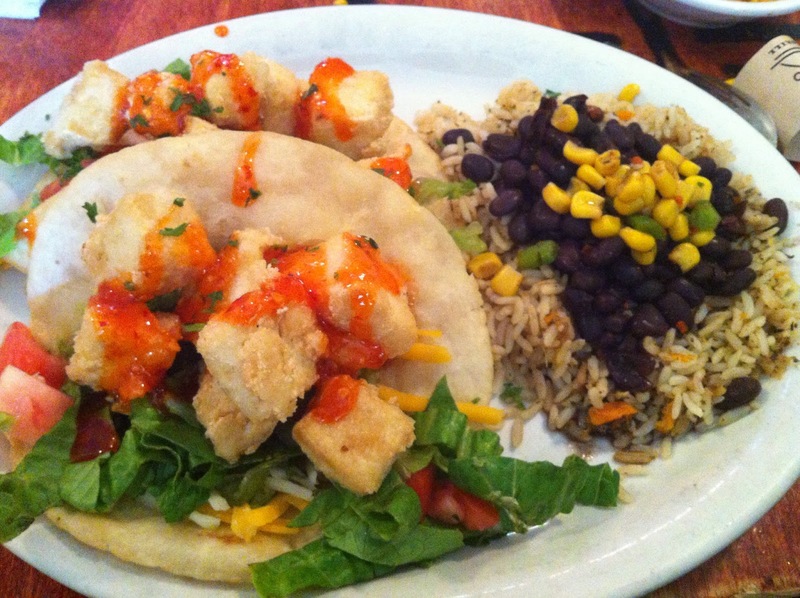 5/5 - I celebrated Cinco de Mayo at Cabo Fish Taco with these amazing tofu tacos. I was not a fan of CFT until I downed these bad boys. So incredibly good! 5/7 - Since I am no longer taking the time off to compete at Rev3 Knoxville, I decided to sign up for the USMS Open Water National Championships. The race coincides with a course preview of IM Chattanooga. While I am not "DOIN' THE CHOO" as they say, I am still excited about the opportunity to ride and run the course. 5/11 - I went on a mountain ride with some of the guys from ICE as well as some others. It was an amazing day. The sun was out but it was neither too hot nor too cold. It was perfect. Riding in the mountains of NC is such a treat. 5/13 - I received a reward at work for all of my *cough* hard work and *cough* dedication to my department. Other than that is has been business as usual. I have not had any top notch training weeks. I have just been plugging along, smooth and steady. Over the last 5 weeks my swims, bikes, and runs have been consistent which is the best training possible, especially when I am purposely trying not to rock the boat. I need to keep things even keeled if I am going to continue to manage my work, workout, and professional lives. The 1-2 punch I received traveling to New Orleans and returning to a very busy work load had a detrimental effect on both my mind and body. BUT I am back! I have no reason to be anything other than grateful for all the amazing opportunities presented to me daily.